Discover the enchanting villages of the Cotswolds, visit medieval Warwick Castle, Shakespeare's Birthplace in Stratford-upon-Avon or the magnificent Blenheim Palace, birthplace of Winston Churchill. A full day tour through the enchanting Cotswolds, visiting medieval Warwick Castle, Stratford-upon-Avon and a walk through the cobbled streets of Oxford. 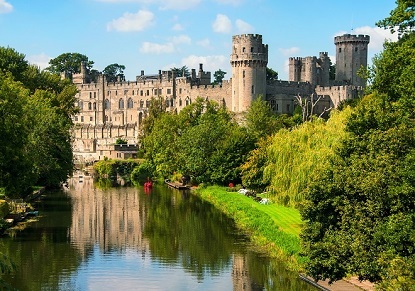 Tour includes entrance to Warwick Castle and Shakespeare's Birthplace. A full day tour from London to Blenheim Palace and the enchanting villages of the Cotswolds, including the village of Bampton where many scenes from "Downton Abbey" were filmed. Tour includes entrance to Blenheim Palace. Select Sightseeing - A full day tour from London to medieval Warwick Castle, Stratford upon Avon, Oxford and the enchanting Cotswolds. Entrance fees are not included, but tickets may be purchased from your guide. 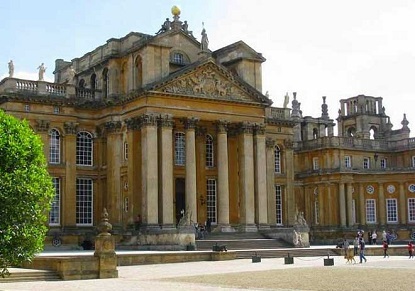 Select Sightseeing - A full day tour from London to Blenheim Palace and the enchanting villages of the Cotswolds, including the village of Bampton where many scenes from "Downton Abbey" were filmed. Entrance fees are not included, but tickets may be purchased from your guide.